Removal ProcedureRecover the refrigerant. Refer toRefrigerant Recovery and Recharging.Remove the left headlamp. Refer toHeadlamp Replacement. Remove the air conditioning compressor hose nut-(1) from the air conditioning evaporatorthermal expansion valve tube hose.Remove the air conditioning compressor hose-(2) from the air conditioning evaporatorthermal expansion valve tube hose. Remove the compressor hose nut-(1) from the condenser.Remove the compressor hose-(2) from the condenser.Raise and support the vehicle. Refer toLifting and Jacking the Vehicle.Disconnect the electrical connector from the air conditioning refrigerant pressuresensor valve. Install new seal washers to the compressor hose. Refer toAir Conditioning System Seal Replacement.Install the compressor hose-(2) to the compressor. Install the compressor hose nut-(1) to the compressor and tighten the nut to 22-Y (16-lb-ft).Connect the electrical connector to the air conditioning refrigerant pressure sensorvalve. 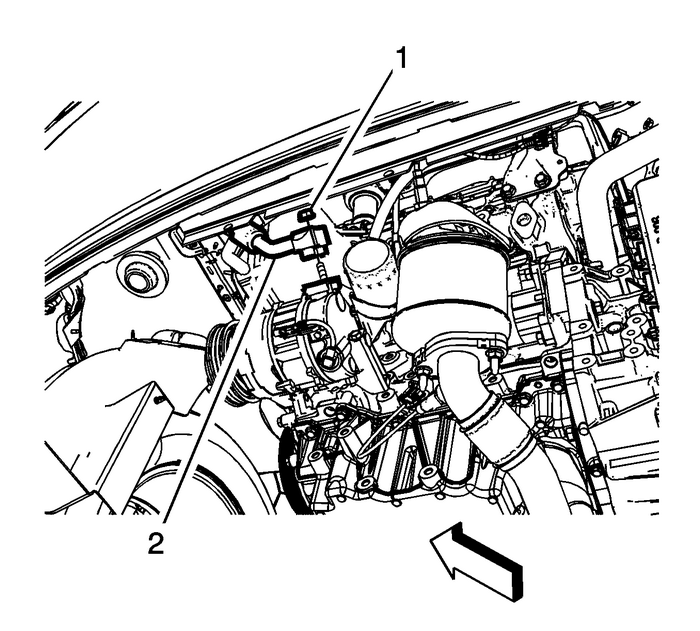 Lower the vehicle.Position the compressor hose in the vehicle.Install a new sealing washer to the air conditioning evaporator thermal expansionvalve tube hose. 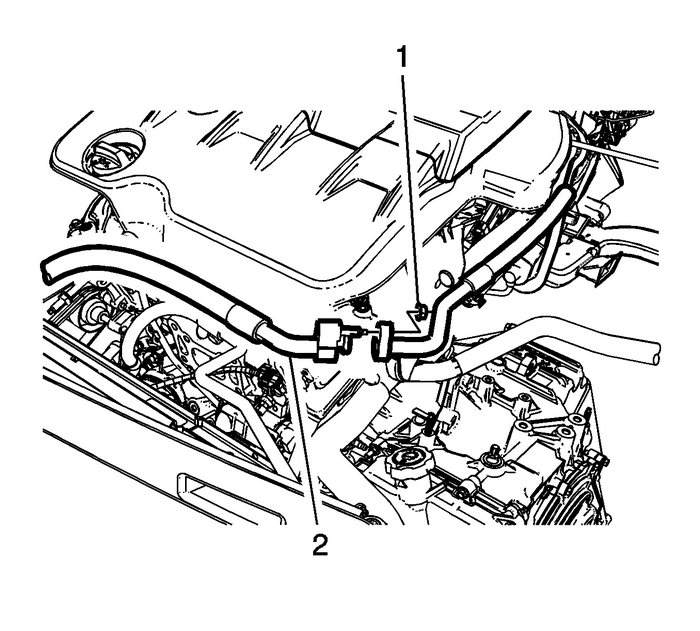 Refer toAir Conditioning System Seal Replacement.Install the air conditioning evaporator thermal expansion valve tube hose-(2) to thecompressor hose.Install the compressor hose nut-(1) to the air conditioning evaporator thermal expansionvalve tube hose and tighten the nut to 22-Y (16-lb-ft). Install a new sealing washer to the compressor hose at the condenser. 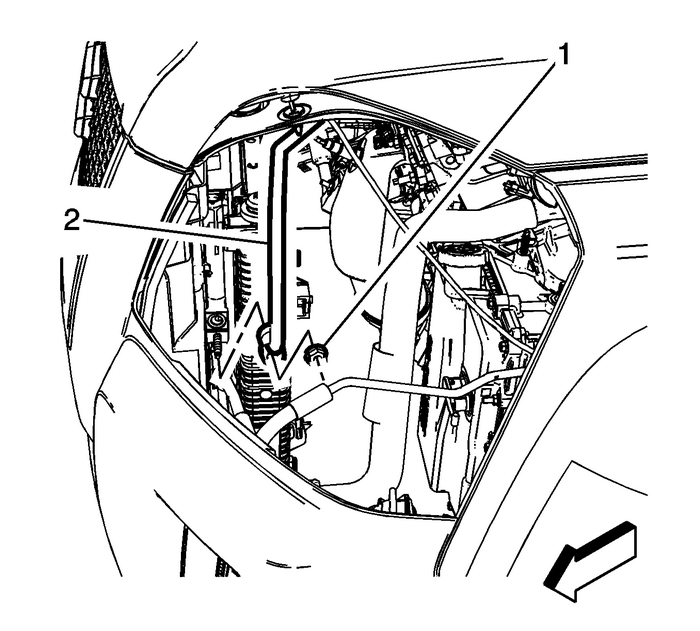 Refer toAir Conditioning System Seal Replacement.Install the compressor hose-(2) to the condenser.Install the compressor hose nut-(1) to the condenser and tighten to 22-Y (16-lb-ft).Install the left headlamp. Refer toHeadlamp Replacement.Recharge the A/C system. Refer toRefrigerant Recovery and Recharging.Test the affected A/C joints for leaks using J-39400-A halogen leak detector.